Kids walking away from the faith. Lagging attendance at church. Lack of relationship in the faith community. These are the topics I get emails about on a weekly basis. These are the things that are keeping ministers up at night praying and parents up at night worrying. And these are very real concerns that are multifaceted and complex to explore. But lately, I’ve become more and more convinced that there is one main area that needs to be addressed in our churches if we are going to find lasting answers. And that area is the family or the home, specifically as it relates to parents and caregivers. A recent study released by Search Institute, a research group dedicated to “discovering what kids need to succeed.” suggests that there is indeed a secret weapon..only, it’s not that secret. The title of their research is “Don’t Forget the Families: The Missing Piece in America’s Effort to Help All Children Succeed” and what it shows is that we have made a big mistake in America – we nixed the family and tried to raise the kids without it. We tried to “fix” the shortcomings we’ve perceived in families by, well, replacing the family with things like school, and sports, and therapy, and youth programs and … church. As a society we collectively decided that “many families are dysfunctional and even hopeless. Changes in family structure and family life have led some observers, advocates, and the public to characterize the state of families today as bad and getting worse.” The solution? Remove the “power” from the family and replace it with other more stable things. The problem with that is, we forgot that we are hard-wired to be a part of a family, and no matter how many institutions we create to vie for power in our hearts, our family consistently remains the most influential. “In reality, there is little evidence that families have lost their power in the lives of children and youth—even though many families do face major challenges. [A] University of Virginia study found that most parents are quite happy with their own families (Bowman et al., 2012). Longitudinal evidence suggests that it is more accurate to describe families as changing, not declining… family influence remained strong… levels of maternal engagement remained strong. What does that mean to us in the Church? Parents/caregivers are the single most important influence in a child’s life. Period. No amount of programming, support, systems or institutions can change that. We are hard-wired to exist within families by the very One who wired our system in the first place. In the church, we call that…discipleship. It’s time to fix the disconnect and turn our attention, our energy, our desire to see children follow Christ towards the home and equip the leaders there to do what they are wired to do…go and make disciples at home. The celebration of Ash Wednesday and the observance of Lent was not a part of my experience growing up, but over the past few years, I’ve grown to appreciate this time in the liturgical year to reflect, to repent, and to realign myself with God. And, I tell you, I’ve always loved Easter but it has so much more meaning and depth when connected to the preceding season of Lent. 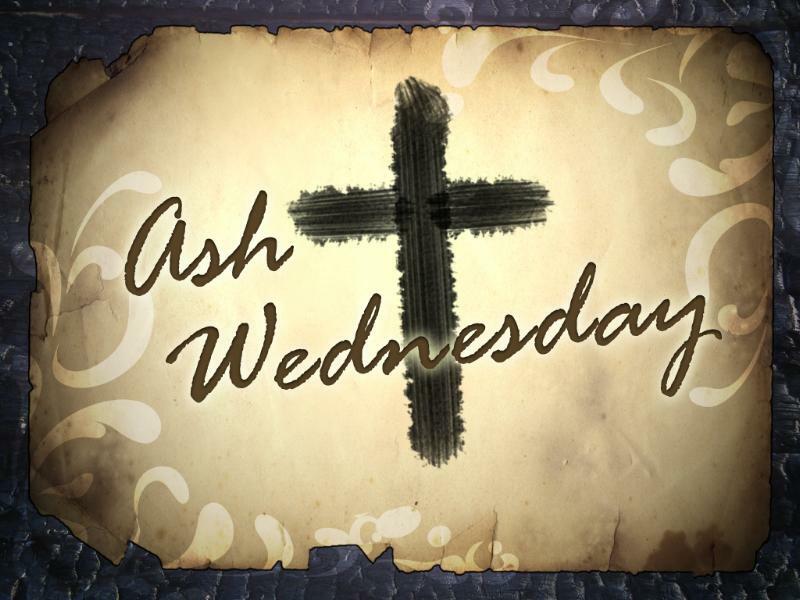 The first day of Lent and Ash Wednesday is today. If your church doesn’t currently have an Ash Wednesday or Lent celebration (or if it gets snowed out), but you want to engage your family in the season, here are a few tools to use today/this week in your home that may give you some ideas and some guidance. 1. If you are on Facebook, search for a community activity called ‪#‎picturelent‬ . This online program walks you through Lent with devotions, activities and prayers for the whole 40 days. For more information, check out LEC Family at http://lecfamily.org/lent/. To see the scope and sequence of the entire event, click here. 2. If videos are more your style, check out these great though-provoking videos from the Skit Guys. 4. Host your own worship service at home with your kids. Here are a list of current worship songs (like those you’d find on K-Love) that have great application to Lent. Consider looking up videos on YouTube and creating a worship list so you can worship as a family. If you are more of a hymns family, here are a list of traditional Ash Wednesday hymns you may want to also look up! 5. There are several online Lenten devotionals you could choose to do as a family. If you do a search online, you will find many from various faith traditions. Here is one that is a collaborative effort from a number of denominations and even comes with a free App so you can keep up on your devices. 6. Likewise there are many online resources for celebrating Lent with your kids. Many of these are particular to a denomination, so an online search will provide you with lots of options. This page has a huge list of resources including a devotional from Ann Voskamp, Lilly Lewin and multiple crafts and activities for kids and families. Whether you have traditionally celebrated Lent or not, these resources are worth checking out and considering as a way to invite Christ into your home. At the very least, it will open a chance for discussion with your family about why we celebrate Easter and why Christ’s death and resurrection is such a beautiful picture of God’s love, grace and faithfulness to us! May your Lenten season be one full of knowing all those attributes deeper and more personally then you have ever experienced before. Blessings friends! Recently my husband and I have been working on tightening and/or enforcing some boundaries in our home in regard to internet and device use. Our decision was precipitated by a myriad of concerns not the least of which was the influence that we recognize that the messages being perpetuated through certain media outlets was having on our home and children. The response was overwhelming and encouraging. I heard from parents that ranged from more permissive to more restrictive. People shared with me their boundaries and the reasons why they were established. Not one person was exactly the same in their boundaries or their concerns, but all who participated in the discussion shared one thing in common: Every single parent was doing what they felt was best for their children out of the motivation of love. It was tangible – we love our children so when we choose our boundaries, we are doing our very best to provide for them what they need to grow up healthy and whole. We may not all agree on what those boundaries are, but we do agree on why they are in place. That being said, I wanted to share (anonymously) some of the comments so that if you are “one of those parents”, you will have the chance to know that you are not alone. As you can see, there are many ways of approaching this issue in our homes. I hope that by reading through some of these, you will have a better idea of how to best approach the boundaries of your particular family. There were over 70 comments on my initial thread; I’ve only shared a few. That shows me just how much of an issue this is for us as parents, especially as we are the first generation of parents to navigate this with our children. My prayer is that with each decision we make, we feel the grace of God towards us and our children as we do our very best with the gifts He has entrusted us with. If you would like to comment on your boundaries at home, please feel free to do so below. This is not a place, however, to critique or judge others for theirs and any disparaging comments will be deleted. We are all doing our best and relying on God’s grace. Let’s encourage one another instead!! At our church, at the end of each of our gatherings, you’re likely to hear someone say, “At Plowshares we don’t dismiss from worship because we believe that all of life is worship.” In other words, we don’t think worship is restricted to a specific time or place; rather, worship is a part of our everyday lives as believers because Jesus says wherever two or three are gathered in His name, He is present. And that includes our homes. This Thursday is Valentine’s Day, the perfect opportunity to celebrate the greatest Love of all, the gift of Jesus, in your home with your family at home. As we’ve looked at the four moments of Deuteronomy 6:7 the past few weeks (when we sit at home, walk along the road, when we rise and when we lie down), we’ve explored how to bring Christ into our everyday settings. This post offers a simple communion liturgy for families to engage the act of communion in their home together, a perfect activity for the family to engage in after supper before “we lie down”. It invites the family to join together for a time of focus on Christ and the love He has shown us in his life, death, and resurrection through the meal He gave us to do so. All that is needed is some bread and some juice and some time together as a family. Simply follow the outline provided which includes conversation starters, Scripture readings and prayers and together remember what Love looks like as show to us by Jesus. If celebrating communion isn’t something your family is familiar with or you prefer another way of experiencing this greatest love together, consider using the conversations starters and replacing the communion time with a time of blessings. There are some simple blessings at the end of the attached liturgy that could be a special time of blessing one another as you consider Christ’s deep love for us. It is my sincere hope that this week your family is able to spend some time in worship together and that God will continue to invite you into a celebration of His Love together. Prepare: Communion is a celebration! While it is a sacred experience and should be always treated as holy, it is intended for us to remember and celebrate God’s goodness to us. Set the tone with your family by discussing some ways God has shown His love to your family. Have a conversation beforehand explaining what communion means. Remind your family that Jesus showed the Greatest Love of all when He died on the cross for us and rose from the dead and that this meal helps us to remember that great love. As with any time of worship, Christ is with us in communion. This is a special way to that we can invite Christ into our home. Partake: During communion, show your kids what to do. Even if it is very obvious to you, it may not be to them. Take some time to pray as a family some prayers of thankfulness. Conclusion: Finish your time together by reciting the Lord’s prayer (Mt. 6:9-13). Let your children know that this is the prayer that Jesus taught his disciples to pray when they asked him how to pray. This verse is found in the oft-quoted passage regarding discipleship in Deuteronomy 6:4-9 where Moses addresses the congregation of Israel and explains how they are to pass their faith on to the next generation. He mentions four specific moments to talk about faith: When we sit at home, when we walk along the road, when we lie down and when we rise. I love these four moments because they are universal – every single person ever had done these things. They’ve sat at a place they call home, they’ve left and gone out on the road, they’ve slept and they’ve woken up. These simple, everyday moments are when God shows up, if we are looking for Him. Over the past few weeks, we looked at the first of these four moments and found some creative ways to use the time we’ve been given as we sit at home. Today, we’re going to look at the moments where we walk along the road and how we can redeem that time to share our faith with our kids. The car is a transient place, not somewhere we expect to stay for very long, even if we are on a longer drive; it brings us to the place we really want to be. So it’s easy to overlook as a space where discipleship can take place. But what would happen if we capture those moments and instead of making it a place that just gets us back and forth, it becomes a place where we intentionally invite Christ to be present with us? Here are some simple ideas that can help us capture the fleeting moments in the car and turn our hearts to eternal things even in the most temporal of places. Remember the good old days? Just you, your dual cassette recorder, and your favorite songs? Did I just date myself? Anyway, there are a lot of fun ways to make a mix of all of your kids’ favorite church songs. Ask your children’s pastor or worship leader what songs the kids have been singing over the past year and put together a mix. You could burn a cd, add it to your Itunes or even make a play list on YouTube. When you are in the car or sitting at home, pop it in and spend some time singing, dancing, and worshipping with your kids, with songs they know and love! When our kids were younger, we would have to “pause” our show when we got out of the car and our kids were excited to pick it back up when we got in to go anywheres. If you have to travel frequently, might I suggest downloading or purchasing some Adventures in Odessey programs from Focus on the Family? These radio dramas provide a great platform for discussion with kids and they will love listening to them (you will too – they’re pretty great!). We have had many conversations with our children brought on by topics discussed in the episode and as an added bonus, the episodes all have Scriptures to go with them so you don’t have to figure it out yourself! Sometimes the fun isn’t in doing something secretly but doing something together. Lots of families will go on family missions trips but if that’s outside your budget or not the right age for your kids, there are a lot of other ways you can serve together as a family. Your family could bake cookies for your neighbors, run a free car wash, serve at a local food pantry or free meal program, host a neighborhood potluck, visit the shut-ins or homebound members of your church, make up a picnic lunch and give it to another family, etc. Putting together Blessings Bags to keep in the car in case your family comes across people in need as you travel. Making service a family activity is not only fun, but it is the #1 ways researchers have found that teens connect their faith in Jesus to their life. Make Jesus come alive by being His hands and feet together! The older our kids get, the more we are able to have intentional conversations that lead us into some more complex spaces. The car is a perfect place for safe intentional conversation. For one thing, we don’t have to make eye contact which sometimes makes us feel more comfortable when talking about uncomfortable things. Two, we can’t “escape” by leaving the space; we’re all in the car together. And three, it makes the time on longer rides go by faster. If you don’t know how to get the conversation going, check out these great conversation starter questions and topics from Doing Good Together. For an example of one intentional conversation I had with my pre-teen girls, check out this blog on Practical Discipleship in Middle School. If we are intentional about making sure our communication with kids is real, relevant, and regular, we will make a much greater impact when we begin to speak, even in the fleeting moments of traveling in a car. The idea isn’t to be perfect communicators; the idea is to be effective communicators, and for kids nothing is more effective that seeing adults who are living what they preach, attuned to their needs, and committed to an ongoing conversation with them about God. Remember, discipleship doesn’t have to be complicated or difficult; in fact, it can be as simple as just remember to intentionally invite Jesus into the most ordinary of spaces like your car ride to the grocery store or the road trip to Grandmas. It’s about seeing the sacred in the ordinary, His presence in the present, and welcoming our kids into that sacred space. Continuing our series on Practical Discipleship, it felt appropriate to take some time to consider ways we can bridge the gap between church, the place, and church, the body of Christ as we disciples our kids in our homes. A few years ago I had the chance to sit in on a class with my husband and some of his (and my) seminary friends. The class discussion revolved around how liturgical practices in the church could be utilized to address current themes such as nationalism, consumerism, the oversexualization of society, etc. It was a great discussion. However, as the discussion continued, it became increasingly clear that the church has limited influence in speaking into these areas. In fact, it became increasingly clear that if the message was going to be heard, it was going to need to come from parents/caregivers in the context of the home. But how? How can we take liturgical and sacramental practices like communion and baptism and put them in the context of the home while relating them to the themes and challenges of the culture today? How can we as ministers give parents easy wins, simple ways to connect Sunday to Monday, so that the home continues the conversation of church? And how can we as parents, use these beautiful moments that connect us to the church across time and space in our homes to remind our family we are part of something bigger? We need to look at this whole idea of having ONE conversation in multiple locations so that when we are in church on Sunday, what we are talking about, and what we are doing, doesn’t seem new or different or foreign. Instead, when we walk into church, it seems familiar and natural, a continuation of the conversation. What if we gave parents activities to explain communion to their kids at home BEFORE their kids take communion at church? What if, after Communion Sunday, we give them a few conversation starters to share with their kids about how communion speaks to consumerism and materialism (not with those words, but with that heart)? What if we created round table discussions for parents to come to at church, not when their kids are 13 and in the middle of the pangs of puberty, but when they have infants and are preparing for this whole parenting thing and at those tables, we took communion and talked about how we can live out this practice in our homes through sacrificial living and experiencing God’s presence? What if the words spoken, the commitment of the church to walk alongside the child and family at baptism or dedication (depending on your tradition) were given to parents to take home and review with their kids on a regular basis? Maybe even framed and signed by the pastor and members of the church? What if we offered remember your baptism services and encouraged families to talk about their baptisms at home before they come to church so that baptism was more than a one-time event but a continual reminder of identity in Christ and as a member of the Church? A lot of “What ifs” in all of that, but imagine if those “What ifs” became easy wins for parents/caregivers to have intentional faith conversations with their children and youth when they rise, when they lie down, when they sit at home and when they walk along the road. At our church one Valentine’s Day, we created little “Take Home Communion Kits”for families that included a short liturgy, the elements of grape juice and bread which were blessed by our pastor, and a little lesson the Greatest Valentine Ever (Jesus). Families were able to celebrate together with a lesson that connected to the holiday of Valentine’s Day and reminded them of where True Love is really found. Need elements? Click here for what we used. Creative Communion, a book by Margaret Withers and Tim Sledge, actually has six session around different foods and snacks that actually helps open the discussion with kids about different aspects of communion such as gathering, confession, gospel reading, offering, communion, and dismissal. It’s a really neat approach using food kids love (like pizza) to have an ongoing conversation about the sacrament of Eucharist. For more ideas and more about the book, click here. Remember your baptism – Many church traditions offer the opportunity to “remember your baptism” as part of their regular service. This can easily be done by the family in the home and parents can remember aloud with their children their own baptism and what it means to be a member of the body of Christ. Simply use water to pour over one’s hands or touch to one’s head and remember together. Check out this amazing booklet from one church that gives baptism anniversary activities for the parents and children to do at home and remember together their baptism. Members of One Body – This simple lesson has fun games for kids that use regular household items like a puzzle and spaghetti noodles. Discipleship at home doesn’t have to be a scary thing; it is as simple as inviting Christ into the spaces we inhabit daily. As ministers, we can help families discover Christ in their home as they sit and walk and rise and lie down and as parents we can capture the moments to discover Jesus is with us everyday, in every way! Over the next few weeks, I’d like to look at these four moments and find some creative ways to use the time we’ve been given. Today, we’re going to look at the moments where we sit at home and how we can redeem that time to share our faith with our kids. If you’ve ever eaten dinner with the Embree family, no doubt that right after we prayed, one of us said this phrase. It has become part of our dinnertime DNA and something that has led to incredible faith conversations over spaghetti and salad. Some of our most defining moments as a family in terms of discipleship and growth, especially as a young family, took place because of these four questions. Here are four simple but ever so critical questions we ask each other nearly every day. 1. What was your HIGH today? Parent – So, how was school today? Child – Fine. Parent – Well, what’d you do? Child – Nothing. Parent – You had to do something. What did you learn? Child – I dunno. Asking a question like “What was your high?” begs the answer in story form. Sure every now and then, we get a shrug, but most of the time, we get to hear about something that happened that day that otherwise we would not have been privy too. Plus the whole family gets to celebrate the moment together. It is important to recognize that not everything that happens in a day is fun and happy. Sometimes things happen that make us angry or sad. Having a safe place to mention low times and process with family can lead to some of the most meaningful moments in your family’s life. We’ve cried together, talked through some difficult situation, prayed for people who hurt us or were hurting, and addressed some of the harder things kids face in life. We don’t want our kids to live a “facebook” existence where only the good moments get highlighted; rather, we want to teach them that God and home are safe places even in the hardest times. 3. What MISTAKE did you make today? We all cringe a little bit at this one. It means we have to step back and acknowledge that we may have messed up. It takes humility to admit that, not only to ourselves, but also to our family. And no one is exempt; even Mom and Dad have to answer the question. Do you know what message this sends our kids? That we mess up, but God’s love is available anyway. Forgiveness and grace are always available. Sometimes, we can genuinely say, “I had a good day and I can’t think of any mistakes” but those times are outweighed by the moments we recognize that we trip up and fall into the grace of God. We want our kids to know that no matter how big the “mistake”, God’s grace, love and forgiveness are always available, and so is ours. 4. Where did you see JESUS today? This is by far my favorite question. it’s different from the High of the day. It’s where we have experienced God in our everyday life. I love the answers my kids give to this question, things like, “I saw Jesus when my friend gave me a hug” and “I saw Jesus when my teacher forgave some kids who had three strikes and let them have ice cream anyway.” Seeing the attributes of God in the world around them keeps them looking for Jesus everywhere they go. Once, one of my girls wrote a note to a friend in which she said, “When you [did that thing] I saw Jesus in you.” That’s exactly the kind of note we need to be giving one another! Four simple questions. Four amazing life lessons. Four easy ways to connect. Four intentional moments for discipleship. And while the dinner table works for us, maybe it would work better for you on car rides? Or before bedtime? Or maybe even over text if your kids are older? The idea isn’t to create another “thing “we feel pressured to do. Rather, it is to layer some intentionality over what we are already doing to create the opportunity to model faith, experience grace, and increase love together. Remember, discipleship at home is never about doing more things. Rather, think of it as an opportunity to invite Jesus into everything we are already doing. Many of use eat dinner at home and most of us strive to do that together, as a family. Inviting Jesus into that everyday practice takes it from ordinary to sacred, from dinner to discipleship, from temporal to eternal, and that is discipleship at home. One time our whole family sits at home, which is increasingly a harder feat to accomplish, is when we watch a movie together. Movies are great because they tell a story, much like the metanarrative of Scripture and the parables that Jesus uses to each his disciples. Often in movies, we can find rich plots, interesting characters, and complex moral dilemmas and in those things, we can often find just the right opportunity to share with our kids how we can live out our faith or how God can meet our deepest needs. Where does the idea of good and evil come from? Who was the good guy in the movie? Who is the ultimate good guy? Can you give an example of the Bible where good beat evil, like in the movie? Most movies have a “lesson” or moral they are trying to get across to their audience. It may not be a deep lesson (Dumb and Dumber anyone?) and it may not be a healthy one (50 Shades of Let’s Not Go There) but there is some lesson behind the story. Before you watch the movie with your kids, be aware of what the messages are and ask your kids if they can find it or figure it out. I’ve been amazed by some of the insights my girls have come up with about the messages in movies. Here are a few questions to help you get started. What is the main message this movie is telling you about life? love? relationships? friendship? Do you think the message is true or false? Do you think that is a the same message Jesus would give you? Movies try to paint a certain reality, whether it is set in a high school or outer space, the movie tries to pull you into their alternate universe and have you believe it’s real. Unfortunately or fortunately, depending on the movie, the fact is that reality is not real. Sometimes kids especially have a hard time discerning that as their minds are still developing the skills necessary to tell the difference between fantasy and reality. Here are a few thoughts you might want to share with your kids before and after the movie. Before the movie: Look for things in the movie that are different from your reality. After the movie: What did you think was unrealistic? Why? How has that been different from your experience? As a Christian, what would you have done in that situation? Oh, we love our heroes! My girls recently discovered Indiana Jones and MacGyver (Thank you Daddy and Netflix) and they think these two men are simply amazing. Every good movie has a great hero who always rescues the needy ones, loves the unloved ones, and saves the lost ones. It’s as though they had a prototype to work off of (hmmmmm), an ultimate Hero that could change the whole world (AHA!). We of course know His name, but let’s make sure our kids know Him too. Here’s some ways to start that conversation. Who in the movie needed rescued and who was the hero? How did we know that he/she was the hero? What makes a hero heroic? Who is the ultimate Hero of the world? Who has He rescued? These questions and conversations flow easily in our house now since we started them a long time ago, but at first it can be a little awkward. Don’t let that awkwardness stop you. These types of conversations carry more meaning than in just that moment; they begin to help your children build a framework through which they watch television and movies in the future. They will approach these things with a mind that is looking for more, critically reviewing the messages they receive, and developing a worldview based on the reality of God’s word. And to think it all started with some pizza, popcorn, and pop (soda, coke, whatever) in your living room on Family Movie Night. If you are interested in seeing how this plays out with an actual movie, feel free to contact me and put the words “Family Movie Night” in the subject line and I’ll send you a parent discussion guide for a familiar movie! If you’ve read my blog at all, you know that Advent is probably my favorite celebration of the year. Not Christmas necessarily, but Advent, the time leading up to Christmas. The anticipation of Christ’s arrival. The celebration of Hope, Peace, Joy and ultimate Love. You see, lighting the candle of Joy this Sunday doesn’t mean a whole lot to me or you (or to our kids) if we don’t talk about that joy, contemplate that joy, and celebrate that joy for the rest of the week. Singing a few hymns about Christmas won’t impact our lives until we consider the words and use them to praise God on our recliner at home as much as we do our pew at church.